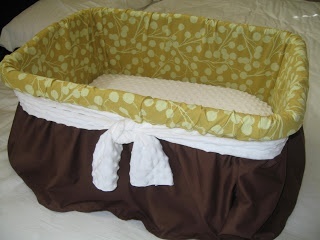 I'm on the hunt for a bassinet, and really everything baby! I'm 21 weeks pregnant and am starting to assess the future living arrangement in our home once baby arrives. Like most Mom-To-Be's, I've been following my pregnancy via the What to Expect When You're Expecting app. It's great, because it keeps track of my pregnancy week by week, provides me with baby development updates, and helps me along the way with great pregnancy tips and relevant baby articles. Some of the most interesting articles that I've been reading, as of late, have to do with keeping the impending baby costs to a minimum. There is nothing more depressing then realizing that all of this excitement can come with a pretty hefty price tag. After looking through various online stores, my husband and I soon came to the realization that we were going to need some inspiration if we were going to keep the costs manageable. So I turned to Pinterest. Some of these ideas are just too smart not to share. 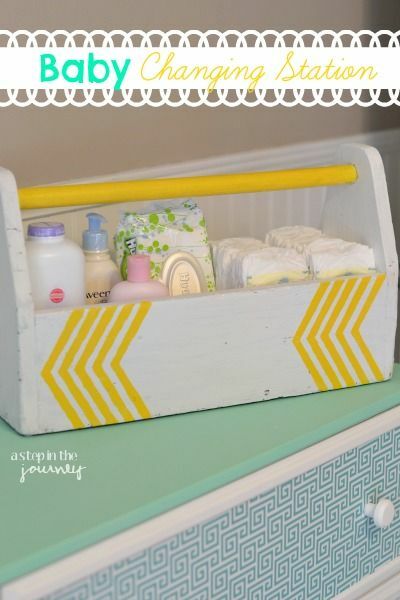 DIY Bassinet a.k.a. Dressed Up Laundry Basket! What I love about this idea: it just seems so practical for carting around the house, and it's low-cost. 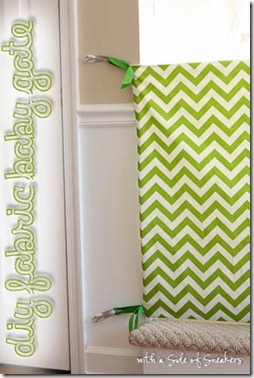 What I love about this idea: You can cart this around the house easily, and it fits on top of an existing dresser. 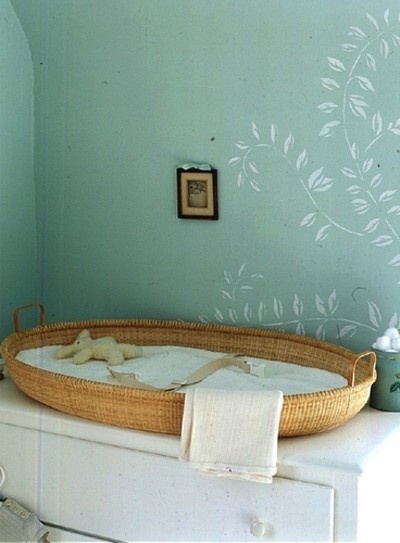 Plus, it dresses up the changing station. What I love about this idea: I'm a woman on a mission at home, so I like the idea of keeping everything contained in one container that is easy to pick up and move. What I love about this idea: Honestly, I think I could make use of this right now! 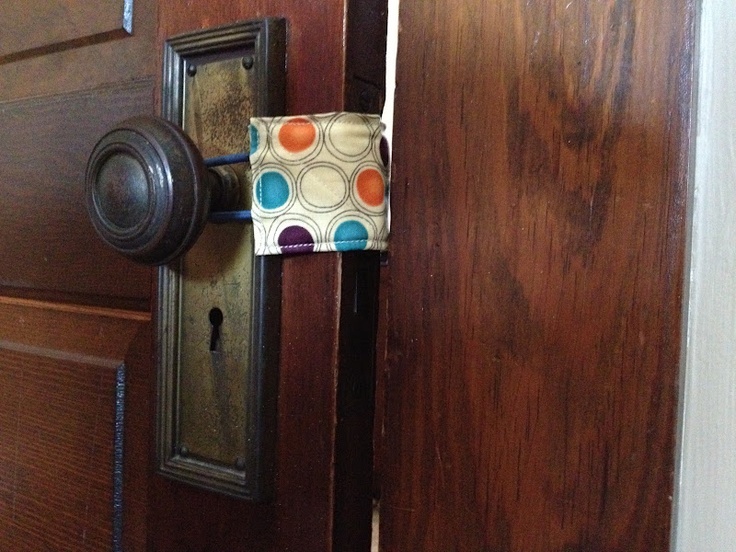 My husband has a 'unique' way of opening and closing our master bathroom door early in the morning. It never fails, I always wake up! What I love about this idea: We have awkward stairs and railing in our home, and this looks like a great way to add a bit of flair to my living space while keeping the little one from getting caught between the stair rails. 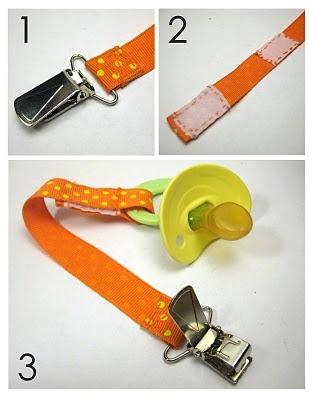 What I love about this idea: It just seems practical, for so many reasons! I hope you've been inspired to get out the sewing machine, or at least pass on a few of these ideas on to someone who has a sewing machine and would love to make them for you! Business in Saskatoon is booming, and unique new restaurants are popping up all over downtown. One of the latest new places is Bon Temps Café on 2nd Ave, offering Louisiana Cuisine at its finest. The Bon Temps theme includes home cooking from the cajun bayous and the upscale Creole cuisine of New Orleans. 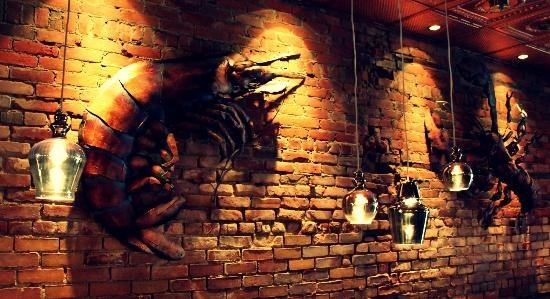 The decor replicates the atmosphere of a typical Bourbon Street bar and grille, and the music has a distinct blues flavor to it. I had heard good things about Bon Temps, so I decided to go there for some wings and fries with my brother. The first thing I noticed as I walked in was the unique atmosphere. Secondly, I found that the prices were more reasonable than I expected. We ordered Louisiana Hot Flappers (wings) and Bon Temps Fries. The food came out within 10-15 minutes, and I immediately noticed how good the fries looked. While the wings were good, these fries were the best I’ve had in Saskatoon. The large serving was only 4 dollars and easily shared by two people. They were so good, I’d go back just for them. Bon Temps is also supportive of local music artists, as Phoenix Lauren and the Strength were playing a live show. A full list of upcoming entertainment can be found on the Bon Temps website. The music was really good and I felt as if I was getting way more value than what was charged on my tab. Live music, a unique atmosphere, great food, and reasonable prices all in the same place- what more could you ask for on a Friday night out? While it may be easy to choose from the long list of chain restaurants available in our city, I would encourage you to try one of our new local restaurants this weekend. Bon Temps is a great example of a unique local spot. Places like this may be a little bit hidden from our mainstream view or are off the beaten path, but offer much more quality than you could find at any chain restaurant. Eat local at Bon Temps Cafe! Getting my hair cut requires a high level of trust in the hairstylist who is cutting my hair. Now you might be thinking, “aren’t men’s cuts the easiest"? I hate to break it to you, but they are quite the opposite. They’re not easy because there isn’t a lot of hair to work with if the stylist makes a mistake. I can’t wear my hair in a ponytail or part it differently; however, some men are opting for the longer fancier looks these days, and perhaps this is a result of disastrous haircuts. For many men, the difference between a good cut and a bad cut might be his ability to secure that date he’s been after. As a married man, I could probably get away with the classic bowl cut, however I’m still interested in regularly securing that date with my wife. So, when it comes to choosing a hairstylist, I’m fairly picky and once I find said hairstylist I become a lasting repeat client. Now there is nothing worse then finding a stylist you trust, only to hear the news that they are moving and will no longer be able to cut your hair; this very thing happened to me. The hunt for a new hairstylist can be frustrating and unpredictable. Luckily, my wife has never held back from sharing with me her exceptional experiences at Capelli Salon Studio, located in University Heights. So on good authority, I decided to take the leap and book in with one of Capelli’s hairstylists. Upon my arrival, the first thing I noticed was that the hair salon was very clean, modern, and inviting. I knew from conversations with my wife that this was an Aveda Salon, which means they exclusively use Aveda products and all of the hairstylists receive specific training in order to use the products. This extra qualification was good for my trust issue, and the general professional caliber I witnessed while in the entryway quashed any other fears I had about a potential botch job. After being seated in the stylist's chair, I was treated to quite the experience, including a scalp massage to start. Further pampering continued with the ability to browse the Internet on an iPad during the haircut, and (although a little embarrassing) I even received an eyebrow trim for those unruly hairs. Since my first experience at Capelli, I’ve gone several times and have seen different stylists on each occasion. Every time I go to the salon, the stylist exceeds my expectations, and I have yet to walk out of an appointment with that seemingly unavoidable botch job of the past. If you are at all like me, and feel more comfortable going to highly qualified hairstylists, I would definitely recommend Capelli Salon Studio in Saskatoon. Olympic dreams can start in Saskatoon! Proud is the word that comes to mind when I think of our Canadian athletes in the 2014 Sochi Olympic Games. This is the second Olympics in a row where Canadian athletes have displayed to the world our prowess in winter sports. Not only are we competing well, but we are finishing on the podium consistently. As I am watching the Canadian flag being raised once again for our Silver medalist figure skaters, Tessa Virtue and Scott Moir, I feel this emotion again. Pride. Proud to be Canadian. The road to the Olympics always begins somewhere. For Virtue and Moir, who began skating together at ages around 10 and 12, they took advantage of local skating programs and competitions to grow in their ability. When I think about this fact, it means that many of our next generation of athletes are currently in these local city programs around the country, and that the strength of these programs will determine the strength of our athletes in the years to come. This means we all can play a part in helping our kids become world champions. In Saskatoon, we have many strong programs producing very high calibre athletes. For example, the Saskatchewan Speed Skating Association has been working hard for years to produce high calibre athletes. They helped produce Catriona LeMay Doan, a two time Olympic gold medalist, who broke 13 world records throughout her career. Today, 16 year old Saskatoon native Juliette Wheler is soaring up the ranks preparing to compete at the Junior World Championships in Norway this March, competing in the 500m, 1000m, 1500m, and the 3,000m. 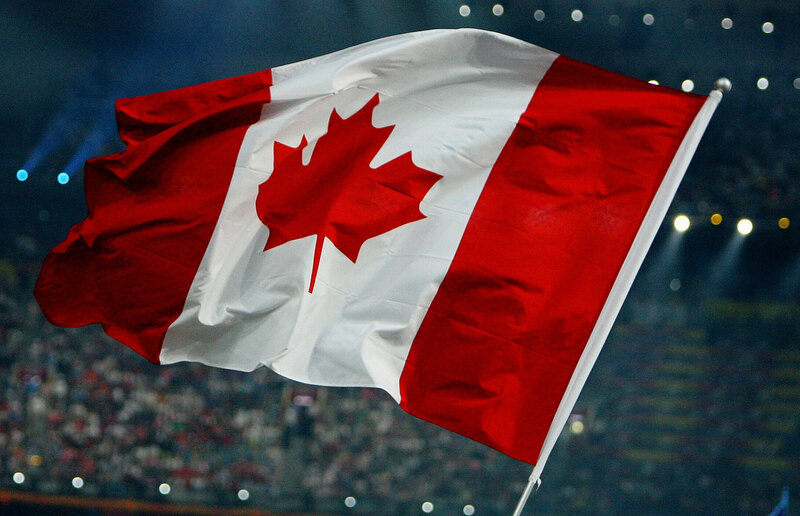 It’s amazing to think that many of our athletic programs in Saskatoon can start the journey of producing high calibre athletes, who one day could very well be on the Olympic podium accepting a medal and singing our national anthem. Call me crazy, but I kind of enjoy cleaning. I have created in my mind a continuum of household chores (based on the enjoyment and gratification I get from each) on which doing laundry is extremely low, and vacuuming is king. This is partially because I recently purchased an iRobot Roomba, meaning that I don’t actually have to put any effort into it. The investment in Roomba was mostly due to my longhaired cat - sort of to maintain a cat-hair-free home, but mostly for the potential for this to happen in my life. Fairly high up on my home cleaning task spectrum is cleaning the bathroom, simply because I cannot stand a dirty bathroom. The surfaces typically found in bathrooms are just meant to be clean. Sparkling faucets, shiny mirrors, pristine porcelain, spotless tile. I get a lot of satisfaction from doing a really intense clean on a bathroom. In the past, this delight and contentment was paired with minor dizziness, accompanied by watery eyes, along with a feeling of slightly singed nose hairs. Why? Long story short, fifteen minutes spent cleaning the bathroom was enough time for the toxins in my cleaning products to wage a full-on war on my body. I don’t think the toxicity of common household cleaners is a secret, but perhaps this issue is not given as much consideration as it should when we make purchase decisions. For many people, the cheapest product on the shelf wins. 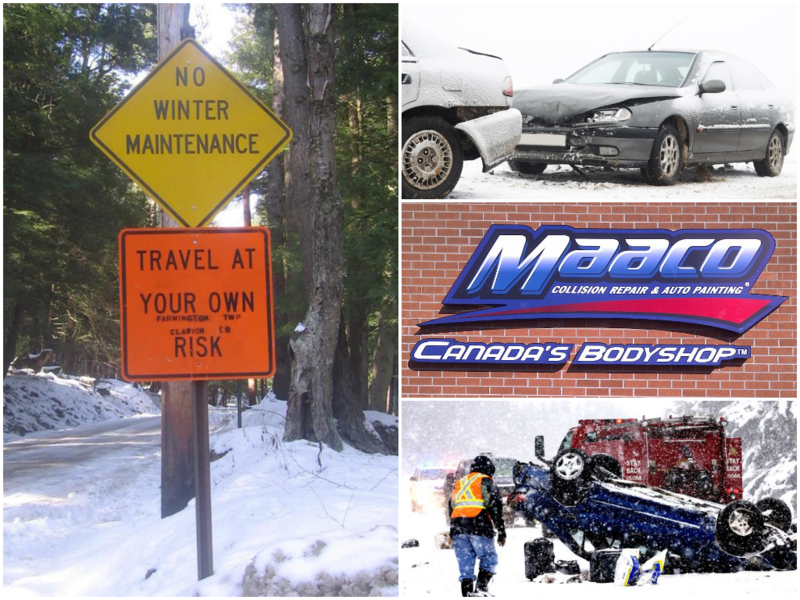 Luckily, cost doesn’t have to be an issue, and you’ll find out why in a moment. First, allow me to convince you to switch to non-toxic cleaners. I pulled these points from an article found here. There is no requirement in Canada for manufacturers to warn consumers about the health and environmental hazards associated with exposure to chemicals found in many household cleaning products. 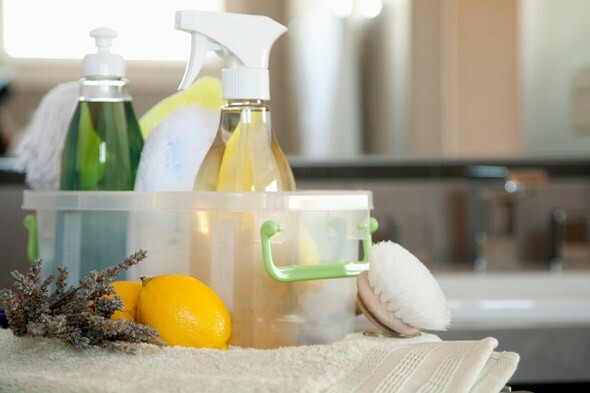 Many common cleaning products contain chemicals that are not only irritants (the burning nose and throat), but are associated with blood disorders, reproductive problems, liver damage, migraines, and cancer. Exposure to toxins continues long after the cleaning job is done. The toxic chemicals we use in our homes linger in the air we breathe, they are absorbed through the skin, they end up on the cutlery and dishes that we eat from, and we ingest them through the chemical residues found on household dust. The toxins are also destructive to our environment, and are particularly damaging to aquatic organisms and ecosystems when flushed down toilets and drains. Given all of that, it wasn’t a difficult decision for me to make the switch to cleaning products that are natural and non-toxic. However, as with most things, the price tag on products labelled natural, organic, or non-toxic tends to be higher. Like I said, cost doesn’t have to be an issue, and if you enjoy DIYs, you’ll love making your own non-toxic cleaning kit with these easy recipes. Ounce for ounce, homemade cleaning formulas cost about one-tenth the price of their commercial counterpart. Cheap, cheap! If DIYs aren’t your thing and you would prefer to purchase your cleaning products, making the switch provides a great opportunity to support local retailers in Saskatoon who offer excellent alternatives. Check out Envirowise, The Better Good, or Dad’s Organic Market for some safe and effective brands. You can find helpful product ratings and reviews here. If you are someone who does not enjoy cleaning, or if you simply do not have the time to do it yourself, consider having local Saskatoon residential cleaning company Fresh Living take care of it for you. They use only environmentally friendly, health conscious cleaning products. When you make the switch to non-toxic products, whether you whip them up yourself, purchase them, or have someone take care of it all for you, you can rest easy knowing that your health and the health of your family and pets is protected, and damage to the environment is reduced. If you choose to go the homemade product route, I highly recommend using the money you save to purchase a Roomba. And if you have a cat, a shark costume. And maybe a duckling. Are you looking for a Valentine’s Day date idea in Saskatoon? Something different that isn’t just status quo? I recommend trying a romantic dinner out at Saboroso on 8th Street. It offers a unique Brazilian dining experience with the traditional “Rodizio” option. When I first saw Saboroso opening up a couple of years ago, I was a little skeptical. About five years ago, I travelled to Sao Paulo, Brazil, and experienced Rodizio in it’s native setting. I wondered whether this new restaurant in Saskatoon could live up to my fabulous experience down South. In Brazil, “Gauchos” came around to our table with unlimited amounts of meat and other tasty items on a stick. It was the ultimate man’s meal. I ate everything from steak and lamb to more interesting items like deep fried chicken hearts and cheese balls. As per tradition in Brazil, whenever I did not want an item, I was instructed to wave my finger back and forth in the air to indicate “no”. I felt this was incredibly rude, but it was all part of the cultural experience. As my wife and I visited Saboroso in Saskatoon, we first noticed all of the windows were covered over and the lights dimmed. This created an atmosphere that was calm and relaxed. It felt like we were enjoying a romantic dinner by the fire, rather than the usual hustle and bustle supper can quite easily become at home. As we sat down, I was pleasantly surprised that here as well, “Gauchos” came around to the different tables with endless “all-you-can-eat” meat on a skewer. While the server informed me they were missing the deep fried chicken hearts, they made up for it with other amazing selections like bacon wrapped filet mignon, beef tenderloin, and linguica sausage. I was also instructed that instead of waving my finger in the air to refuse food, I simply had to turn the indicator on my table from green to red. There were other options on the menu, but we decided to go for the authentic Rodizio experience of Saboroso. The food was incredible. I ate wishing I had a couple more stomachs to enjoy more of the delicious food. While the experience is not completely authentic, it is close, and in many ways actually better than my experience in Brazil. The food at Saboroso is top notch, and the Rodizio is perfect for the unique date night idea you are looking for. Glass Slipper Cleaning & Concierge is locally owned and operated, providing reliable cleaning services for homeowners in Saskatoon and the surrounding area. They appreciate your trust and know they have to earn the right to keep it! Glass Slipper owner, Angela Sipko, is a hardworking, kind-hearted professional who believes in providing the best possible experience for her clients. Trusted Saskatoon is confident that after Glass Slipper Cleaning & Concierge has been to your home, it will pass anyone’s “white glove test”! Angela, owner of Glass Slipper, debunks some myths about cleaning! Disinfecting and cleaning are the same. Although bleach and vinegar are seen as ‘super cleaners’, they have led to many misconceptions about disinfecting and cleaning. Cleaning and disinfecting are NOT the same thing. Cleaning is a way to remove dirt and grime at a surface level to prevent the spreading of bacteria and diseases. The more debris that is removed at the cleaning stage, the better your disinfectant will be able to do its job. Disinfecting makes a surface free and clear of all microscopic organisms by killing things like bacteria, viruses and fungi which can lead to infections or disease. Two common household solutions that get mixed up are bleach and vinegar. Bleach is a disinfectant. This means that it helps to kill bacteria and other viruses on a surface but does not clean it. If you are looking to disinfect an area, it is best to clean the surface with a cleanser to clean before disinfecting. On the other hand, vinegar can act as a great cleaning and deodorizing agent on a variety of surfaces. It can damage porous surfaces like stone and unsealed grout and dull the finish of hardwood floors so be mindful of what areas in your home it’s being used on. Unlike bleach, it does not kill microorganisms that can lead to infections. Unless your floors are so dirty that the thought of walking over them sends chills down your spine, always vacuum last. It’s always best to follow the top down cleaning rule for every room in your home. While you’re dusting and wiping down furniture, dust, hair and other particles will collect and fall to the floor. If floors are not vacuumed after you are finished dusting, it can resettle on areas you have already cleaned. Although it’s appealing to get what can be seen as the most time consuming task done first, vacuuming first will require you to do it a second time after you’re done cleaning the rest of the room. So much for a time saver! Did you know that regular vacuuming helps your carpet last longer? Dirt and grit are abrasive and when they get ground into the carpet, they can ruin carpet fibers. Use furniture polish every time you dust. Furniture polish is great for keeping your wood furniture healthy and new looking. 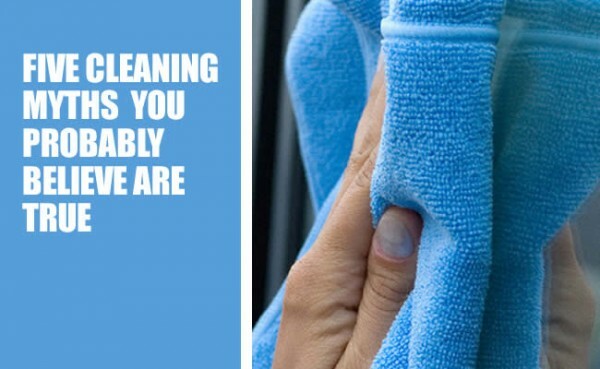 For regular cleaning, it is best to use a microfiber cloth to remove dust. Polishes tend to contain oils that can create a sticky film that attracts dust. You should either skip it or use it once in a blue moon to get that ‘polished’ look. Our best advice is to use what is recommended by the furniture manufacturer, and use it sparingly. If it smells good, it’s clean. It’s been proven that scented and unscented versions of the same product clean equally well. So why do we assume a surface is clean because it smells good? The sweet smell of pine or lavender comes from the chemicals or natural oils in the product you’re using, not the cleanliness of the surface. The best way to know a surface is clean is to do the touch test. If it feels clean and looks clean, chances are you have sufficiently removed dirt and grime from the surface. The more product, the better. FALSE. Use the proper amount of soap or cleaner specified. We know how tempting it can be to add more ‘cleaning power’ for a bigger job. But when you can’t rinse all that excess soap away, it’s going to leave a sticky film that attracts more dirt and grime. Follow the directions and you’ll get better results. Extra isn’t always better. Just remember the only thing you need more of is a little elbow grease. So roll up those sleeves, get your trusty rubber gloves, and get to work! Visit Glass Slipper's Spotlight Profile for contact details and to connect on social media! You've probably been there. Its early afternoon, and you suddenly become aware of a very slight, nearly undetectable irritation in the back of your throat. You swallow a few extra times, take a sip of water. This sudden awareness of your body leads you to notice that you're feeling a little more tired than usual- and that very slightly sore feeling starts to creep into the back of your eye sockets. By the end of the work day, the intensity of your sore body and throat has at least doubled, and you start to feel the congestion coming on. When this series of events happens to me, which it undoubtedly does at least a couple of times a year, I often feel as though I can still take measures to avoid succumbing to the impending sickness. There are some things that I usually do to fend off a cold when it comes around, and oftentimes I am able to bounce back from those initial symptoms with these simple home remedies (some more enjoyable than others). This is one of my first go-tos when I feel a cold coming on. I eat it raw, followed by chugging water. The water is necessary- I'll be honest, raw garlic burns the tongue a little bit. I have used garlic as a remedy in the past without really understanding how it works, so I looked into it. It turns out, garlic contains the compound allicin, which has been shown in medical studies to help fight the common cold and shorten its duration. It is antiviral and antibacterial, and supports the immune system. 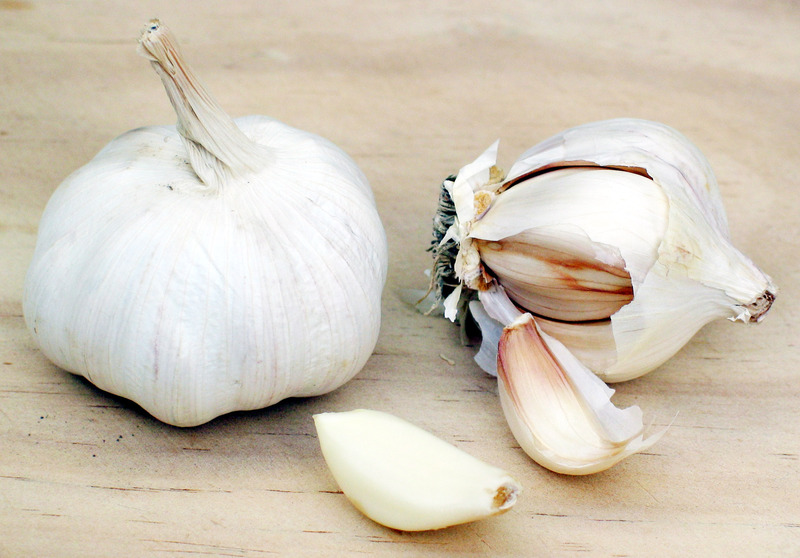 The antiviral effects of garlic are most potent when it is raw, but if you want to avoid the slightly painful raw garlic mouth, it does come in supplement form! As I said, downing water goes hand-in-hand with the garlic, but I usually try to also continuously sip on water or tea to keep myself hydrated while I am feeling a cold coming on. I like to make a concoction using fresh ginger root simmered in water with lemon and honey. Ginger is reported to be both an antihistamine and a decongestant, so this homemade tea will help with symptom relief and will hydrate you all at once. I really enjoy the taste of it as well. This one isn't a ton of fun to do, but it does work, for a few reasons. Not only does gargling salt water ease the symptoms of a cold, it also can be used as a preventative measure. I did some research into this method, and found that people who gargle regularly are 40% less likely to suffer from upper respiratory tract infections. I find the salt water gargle difficult to work into a daily routine, simply because I dislike doing it. But, it can be great for symptomatic relief when you start to feel a cold coming on. Salt water kills bacteria and also breaks up phlegm, helping the phlegm move out of your sinuses. Yuck! It works, though. It also is an astringent, so it helps with sore throats and sinuses. I gargle with about a teaspoon of salt added to a small cup of warm water - a few times a day - when experiencing cold symptoms. This one is easy to get on board with! Get extra rest. Who doesn't enjoy an excuse to do that? 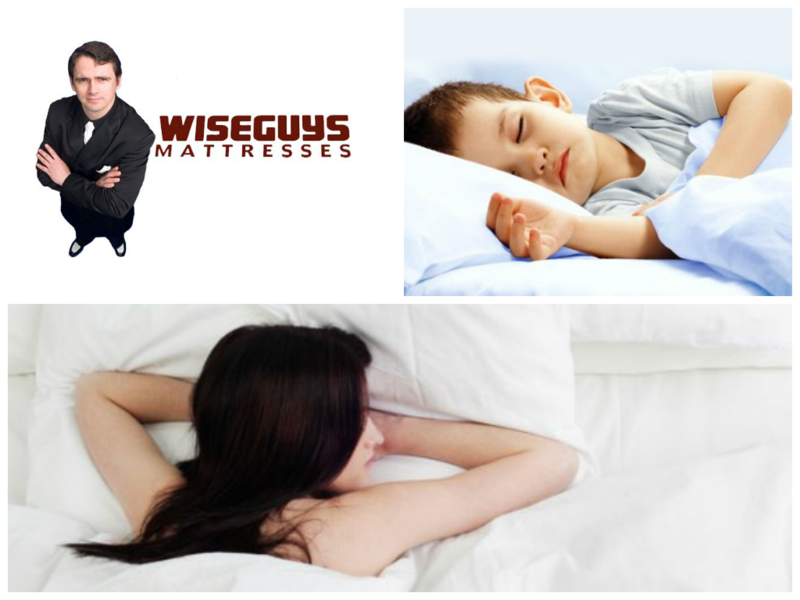 When you sleep, your body produces proteins called cytokines that protect you from illness. Skipping sleep hinders the production of cytokines, and your immune system suffers. I personally love to sleep, so this one comes easy.